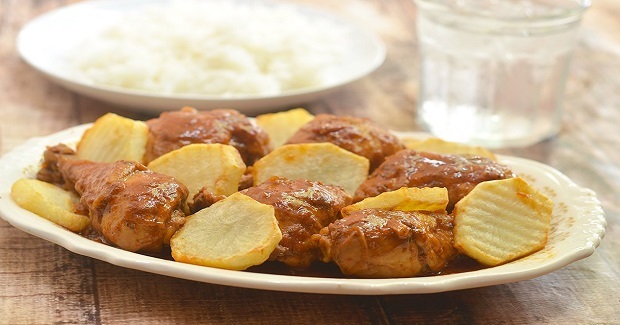 Chicken Asado Recipe - Gutom Na! Posted on Wednesday, January 11th, 2017 at 4:05 pm. Combine chicken pieces with vinegar, salt, pepper, and garlic. Heat oil in skillet over medium heat and fry potatoes until golden brown. Saute onion and tomatoes until tomatoes are mushy. Drain chicken pieces, save marinade, paprika, bay leaf, pepper, and water. Simmer for 30 minutes or until chicken is tender. Cover.